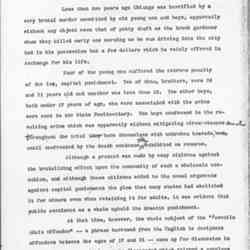 Subject is exactly "Addams, Jane, views on youth"
An excerpt from Addams's talk to the Chicago Bar Association on the causes of juvenile delinquency. 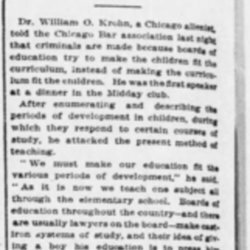 Dr. William Krohn also spoke on the topic. 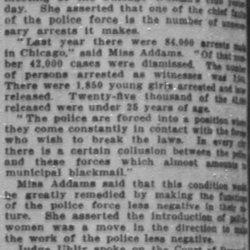 Addams discusses the juvenile crime rate in Chicago. 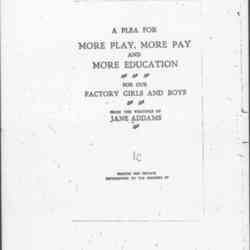 Addams argues that if children have a chance to play outside they are less likely to become criminals. 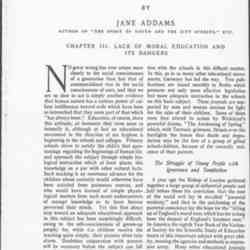 Addams explains how educational background, economic situations, and family predicaments have an impact on juvenile crime; and she argues for special treatment of the "juvenile adult." 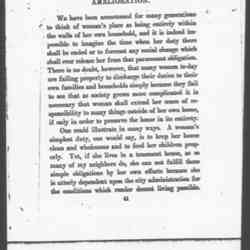 This is the tenth article of a monthly, year-long series on economic and social reform in America and a women's roles in affecting change. 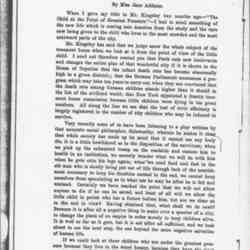 Addams explains how educational background, economic situations, and family predicaments have an impact on juvenile crime; and she argues for special treatment of the "juvenile adult." 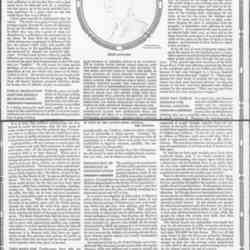 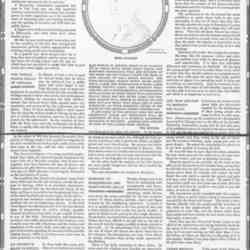 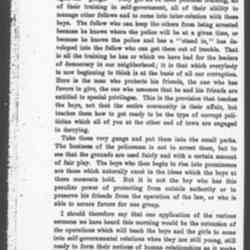 The article was published in October 1913. 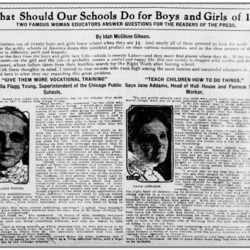 Addams argues for the regulation of public recreation to provide safe venues for women, youth, and communities. 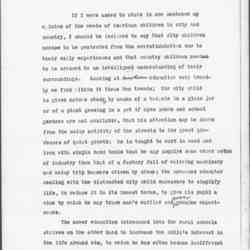 An essay collected from Addams' writings on children, child labor, and recreational opportunities in the city. 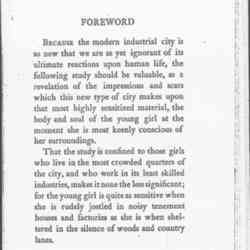 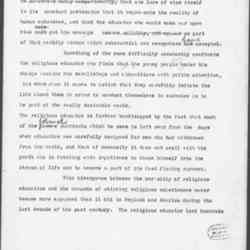 Addams provides the foreword for a report on the status of working girls, made by the National Federation of Settlements. 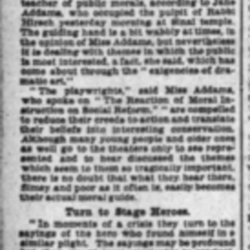 Addams speaks to the Chicago Sinai congregation on the value of theater for moral teaching of the young. 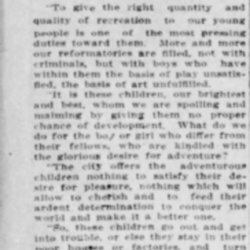 Addams advocates for public recreational spaces for the benefit of all. 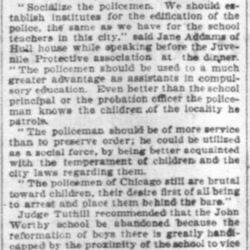 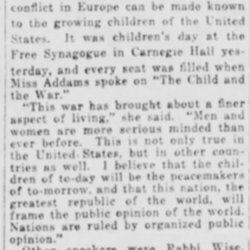 At the inaugural meeting of the National Juvenile Protection Association held at Hull-House, Addams argues that the police should become educated about the needs of children. 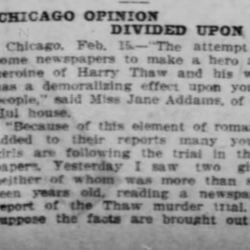 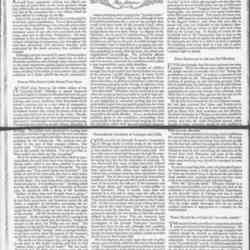 Addams chastises newspapers for glamorizing the story of Harry Thaw, an heir to a railroad fortune who killed his wife's lover. 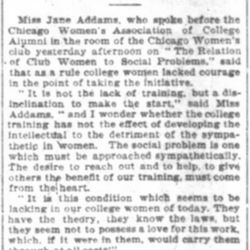 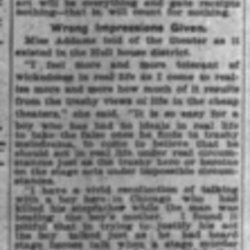 Addams discusses her impressions of the theater and its influence on the public at a symposium sponsored by the Chicago Woman's Club. 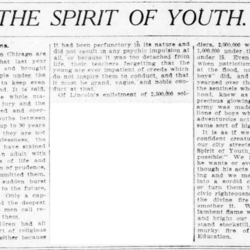 On the opening night of the National Conference of Charities and Correction, held in Cleveland from June 12-19, Addams discusses how the difficulties of children can rouse society's greatest sentiments for charity, but that children also have for their own intrinsic value. 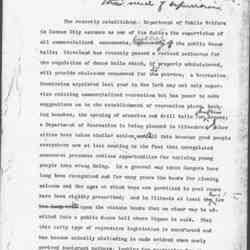 The speech was published in the Proceedings. 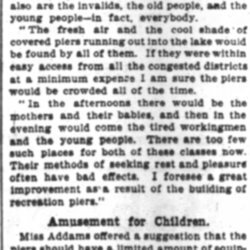 Addams speaks about the benefits of public parks to the community. 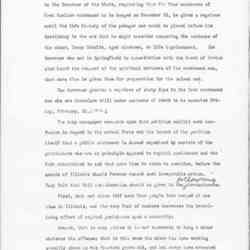 The remarks were published on July 2, 1908. 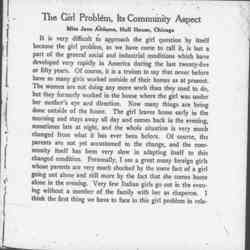 In this address, delivered for the Merrick Lectures, 1907-8, Addams describes the difficulty immigrant women face as they try to assimilate into American life. 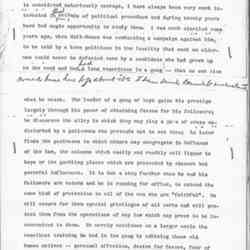 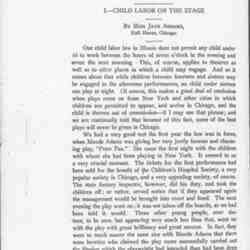 A published version of Addams' lecture on March 11 at the National Child Labor Committee Conference in Birmingham, Alabama, in which she presents arguments against an exception to the 1903 Illinois Child Labor Law for child actors and offers some Tolstoyan allegory to buttress her arguments. 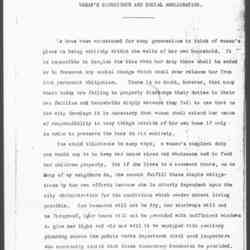 In this address, delivered for the Merrick Lectures, Addams speaks about the difficulty of assimilation into American life for immigrant women.